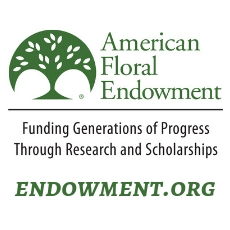 TOPEKA, KS (June 3, 2016) – WildFlower Media Inc., based in Topeka, Kan., has purchased Florists’ Review Enterprises from Frances Dudley, AAF, who owned the company for 29 years. The purchase includes the majority of assets of Florists’ Review and Super Floral magazines and the company’s book division. WildFlower Media Inc. will serve as the parent company to all three divisions of the former Florists’ Review Enterprises. The purchase was completed April 1, 2016. Travis Rigby, president and owner of WildFlower Media Inc., brings a wealth of experience to the former Florists’ Review Enterprises. Travis also is president of two other companies both based in Portland, Ore.: PosterGarden.com, a portable display company founded in 1995, and FlowerBox (formerly Blumebox), an innovative flower vase company specializing in recyclable vases. All 19 employees of Florists’ Review Enterprises are being retained by WildFlower Media Inc. and will remain in their current roles. The company’s phone numbers, email and mailing addresses will also remain the same. 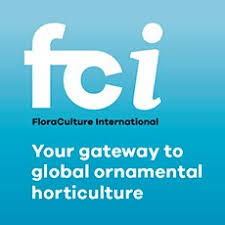 In coming issues, Florists’ Review and Super Floral magazines will focus on partnering with well-known floral designers, featuring a variety of floral events and florists both nationally and internationally, and contemporizing the look of both publications. In the company’s wholesale and retail book division, customers will be able to find a variety of titles new to the Florists’ Review Bookstore, as well as floral design books written and created by the company’s talented team of floral designers, graphic designers and journalists. Florists’ Review Enterprises is a business-to-business media company established in 1897 for floral professionals. The company’s flagship publication, Florists’ Review, remains the only independent monthly magazine for retail floral shops, wholesalers and suppliers. The company also publishes Super Floral, a monthly publication for the supermarket and mass-market floral industry. Now WildFlower Media Inc., the company will continue to provide a variety of content to the floral marketplace, including a bookstore, websites, bonus issues, contests, how-to videos, social media relationships and more. For further information, visit our websites at www.floristsreview.com and www.superfloral.com.